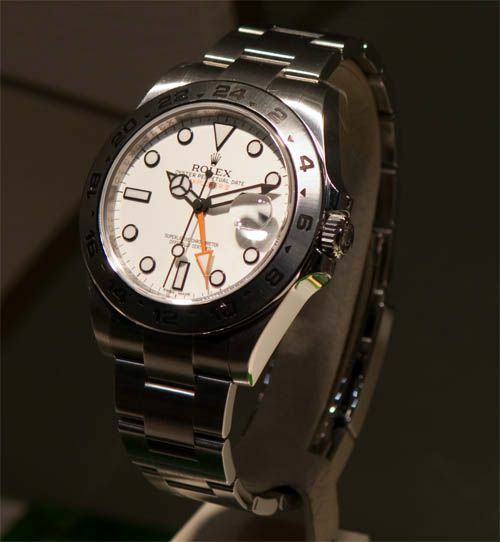 The watch everyone was waiting for, or at least by Rolex fans that is, the new Explorer II. A 42mm re-edition of the Explorer II ‘Orange Hand’ that was introduced in 1971. This new version has a new Rolex caliber 3187 movement inside, including the Paraflex shoch absorber and Parachrom hair spring. A photo report has been posted on the Watchuseek Basel Forum, click here.